Mass Effect Andromeda is undoubtedly one of the most eagerly awaited video games of 2017, as it’s another entry in Canadian developer Bioware’s much acclaimed sci-fi video game series. 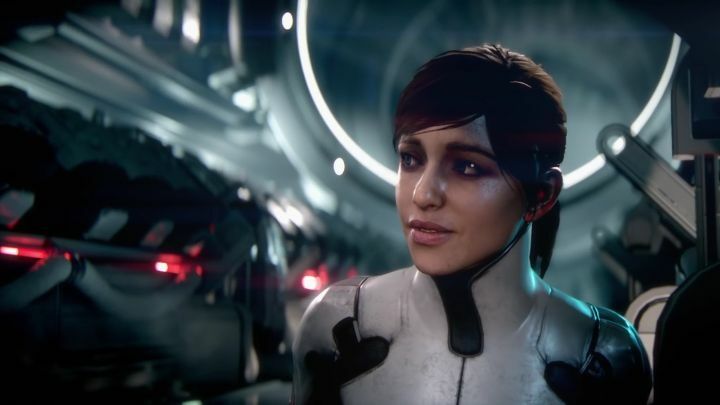 This will be the first new-gen entry in the series and will also feature a new protagonist named Ryder, the female version of whom we saw in a recent gameplay video released last December. And given that Andromeda will be one of the major video game releases of the year, it is logical that it will be hitting the three major gaming platforms available today: the PS4, Xbox One and PC, while owners of Sony’s new PS4 Pro will also be able to enjoy an enhanced version of the game on their console. It seems, though, that Bioware has no plans to release Mass Effect Andromeda on the upcoming Nintendo Switch, as Mike Gamble of Bioware recently said in an interview that “we’re not planning on it”, adding that “if the Switch launches and everyone’s just yammering for Mass Effect, who knows”. This might surprise some taking into account that Mass Effect 3 did make it to Nintendo’s now discontinued Wii U console, but the reason behind Bioware’s decision might likely be that the Switch is simply not powerful enough to run a new-gen game like Andromeda. Actually, it can be argued that Nintendo’s upcoming console is a tad underpowered, especially when it’s running in “handheld mode”, meaning it would have a hard time rendering all the cutting edge graphical effects Bioware is likely building into Andromeda, which is shaping up to be quite a looker judging by a recent gameplay video released by Bioware. This certainly doesn’t bode well for the Switch’s third-party support looking forward, as Nintendo’s console might end up like the Wii U and suffer from an acute lack of third party games. Although it would certainly be a great thing for Nintendo fans if the story turned out to be different this time and the Switch ended up having plenty of games besides Nintendo’s usual first party offerings.